As much as we love exploring the ruins of the ancient Roman Empire, all the mesmerizing churches and fountains, or spending hours contemplating the Sistine Chapel frescoes, our children can easily get bored and tired even in the Eternal City. To help families to break up the cultural ‘tour de force’, I have listed in no particular order a few places and experiences that can keep the young ones amused during your ‘Roman Holiday’. The Time Elevator is a special effect cinema where the audience can experience motion simulation and multisensory effects such as rain and wind. Each armchair has individual headphones available in 6 languages (Italian, English, French, German, Spanish, Russian). Like in a time machine, children are transported back in time and in a funny way they can learn some facts on the history of Rome, from the legend of twin brothers Romulus and Remus, to the rise and decline of the Roman Empire continuing onto the Middle Ages and to the Renaissance featuring most major historical events until the present day. For a longer experience and better value, you can purchase a combo ticket that also includes: An ode to life : a journey through time from the Big Bang to the appearance of man And/or Escape from Bane Manor: a sort of Haunted Mansion story, may be a bit scary for very young children, my 7 years old did not get scared at all. The Family Tour allows parents to enjoy a visit to the Vatican Museums in a fun way, together with their children, following a special itinerary with an illustrated map and an MP3 audio guide. The audio-guide and map are available in English, Italian, Spanish and French and the tour is mainly suitable for children between 5 and 12 years old. During the Family Tour, children will be engaging in a treasure hunt, with mysteries and anecdotes to be solved and riddles to be decoded, they have the opportunity to learn some art and history while having fun, that’s what I call education. To avoid the long queue at the entrance of the Vatican museums, it is advisable to purchase the tickets online. Explora is a ‘museum’ (read attraction) aimed at young children, even though the official website recommended age is up to 12 years old, it’s probably more suited to children under 8 or 9 years old. It’s a sort of an interactive, miniature town where children can play at being adults and use pretend ATM machine, shop in the supermarket, use the fire engine, learn about garden vegetables etc. Outside for more enjoyment there’s also a play park. The visit lasts up to 90 minutes and both adults and children pay the entry ticket. Booking is advisable on weekdays and essential at weekends. Available at many stops in the city centre. Like most big cities around the world, also Rome has its own hop on - hop off bus tour, an ideal way to discover this beautiful city and all that has to offer. This tour makes sightseeing with children easy. Enjoy the views while listening to an entertaining audio-commentary. Jump on and off to view the monuments, have a meal or go shopping, as you wish. The zoological museum is located next to the Bioparco (zoo) and can be entered by the Zoo or through the entrance on via Ulisse Aldrovandi. There are five million specimens in total (molluscs, insects, birds and mammals and fossils). The displays are modern, with over 1000 square metres of multi-sensorial or interactive stations exhibitions and three-dimensional reconstructions. The Museum offers children and adults a great deal of cultural activities and educational experiences, such as guided tours, on-the-spot knowledge gained from Museum findings, educational workshops, films, conferences, exhibitions, artistic events etc. A lovely playroom, where children between the ages of 3 and 10 can play, draw, paint or read in a toy library. There are scheduled workshops and classes, which need to be booked in advance. Kids can also participate to dress-up role play. In the outside garden, children can have fun playing in the small wooden village with walk-in toy houses, a giant multi-level see-saw and a fun musical instrument on which children need to jump to create the sounds of a wind flute. Animal farm sculptures and a large tractor also decorate the wooden village. It’s the smallest cinema in Rome with only 63 seats. The movie theater plays children’s films in the afternoon. 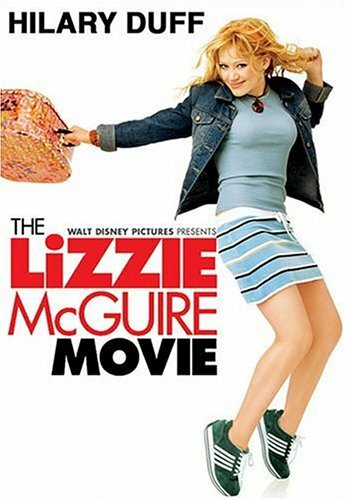 The films are usually in Italian. Technotown is located inside Villa Torlonia, a medieval villa in one of the most beautiful Roman parks. Here, children (suggested age between 8 and 17) can experience a guided journey through various rooms/laboratories and experiment all sorts of technologies from 3D games to recording and video studios, to laser made sculptures. They can interact with a team of scientists and play interactive games. There are two tours available, one lasting 40 minutes and a longer one of 80 minutes. Not as big as the several Madame Tussauds museums, but still nice attraction for families, where children will enjoy taking photos with many Italians and international celebrities. Viale della Casina di Raffaello. Located within the splendid Villa Borghese park. In this 16th century building, there is a recreation centre for children between the ages of 3 and 10, where readings and creative educational workshops are held. Casina di Raffaello is also home to various exhibitions for children with author meet-and-greets to get children directly involved in creative activities. There is also a specialized bookstore where you can buy children’s books and games. The Gianicolo Puppet booth is traditional hand-crafted puppets show that takes place every Saturday and Sunday on the Gianicolo Hill. Even though it’s in Italian, kids will still enjoy the handmade puppets, their adventures and mischiefs. If you are there at noon, cover your ears as the theater shoots off a cannon. It’s an ancient Roman marble disc with a relief carving of a man's face placed against the wall of the Santa Maria in Cosmedin. If you watched Roman Holiday you should visit this site and even if your children don't know who Audrey Hepburn and Gregory Peck were, they may get excited (or worried) if they play the game of truth, as the legend has it that if someone tells a lie and then slips their hand into the mouth, their hand will be bitten off. My kids had fun saying fibs once they realised that their hand was still intact. 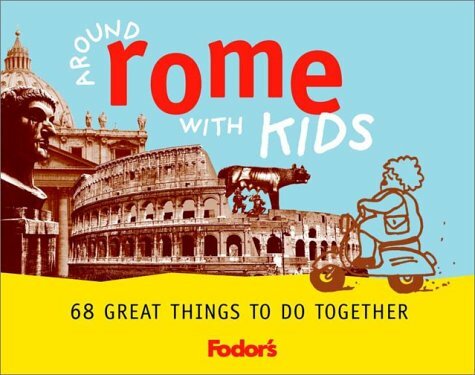 A bit of fun and overall builds good memory of your family holiday in Rome. Located within Villa Torlonia (once used as residence by Mussolini), the ‘House of the Owls’ seem to have come out of a fairytale book. The motif of the owl is used widely in the decorations and furnishings, hence its name. A beautiful, peaceful outing for all the family.